May 2018 - Touch Display Research, Inc.
May 2, 2018, by Jennifer Colegrove, Ph.D. 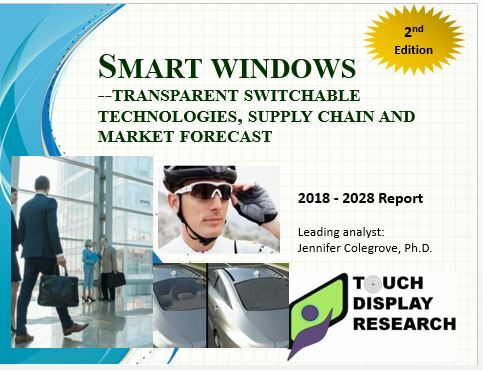 Principal Analyst at Touch Display Research Inc.
Three year ago, in the Flexible Display 2015 Report, Second Edition, Touch Display Research forecasted flexible display industry will take off in 2015 to 2018. That forecast became reality. We are witnessing flexible OLED display, flexible e-paper display, flexible LCD and other flexible technologies having a big leap right now. 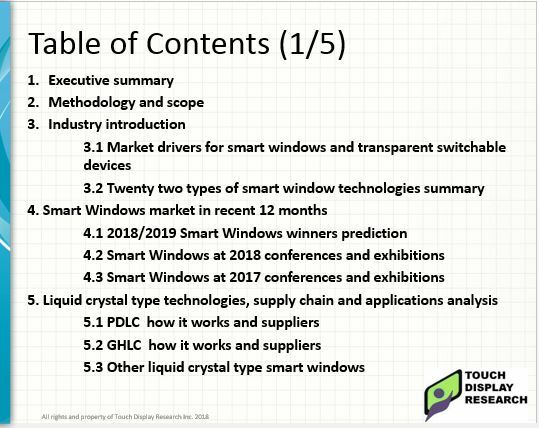 In the recently published “Flexible Display & Flexible Touch 2018 Report”, 3rd Edition, we analyzed all the flexible display technologies in 14 application markets (13 plus 1 other applications) — smart watch, wearable (other than smart watch), curved TV, curved monitor/AIO PC, NB/tablet PC, secondary or cover display, mobile phone main display, phablet and tablet, automotive, e-reader and e-note, public signage, gaming casino, other applications. This entry was posted in Flexible curved display, Flexible display market, Flexible hybrid electronics, Flexible Lighting, Flexible OLED, Flexible touch screen and tagged flexible display, flexible display 2018, flexible display applications, flexible display market on May 2, 2018 by jennycolegrove.